I found this to be an extremely testing adventure for me and my wife. However I loved every minute of it. 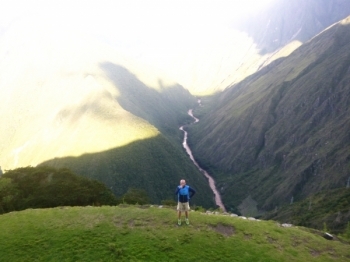 We had amazing time on the Salkantay trek to Machupicchu !!! . I am beyond and so appreciative of the staff and the Guide Carlos for everything they have done to make this experience an unforgettable one , he is knowledgable of the history of Peru . Meeting at the offices in Cusco at 5:30am set the tone of early mornings for the trip! I awoke from a twisted slumber; a point of irritation on every limb, a fight for survival from the most ancient of creatures reminded me of the truth of our adventure: we were not the only ones partying on the mountainsides near Machu Picchu. Gnats are everywhere and they hate you. This was a wonderful experience, with a great guide, horseman and cooks. The campsites were very good, although the the last one was noisy from music and shouting, which was not good as we had a very early start. Our Salkantay Trek was fantastic, a really brilliant experience. Carlos was an amazing guide, friendly, enthusiastic and very well informed about the flora, fauna and culture of everything that we saw. He really looked after us (Along with the other support staff, who were also great) - he made our experience fun and truly enjoyable. Booking this trek was done via email and was extremely easy I was emailed with all details that I needed and was very thorough with instructions I was also assisted with a hotel room after the trek and airport transport. Our Salkantay adventure has been a pleasure from beginning to the end. The email correspondence before the trip was thorough and very professional. Carlos is an absolute joy as a guide, he is so knowlegeable about Perú and its history and culture. All of the accommodation was fantastic, along with horseman and the two cooks. Salkantay trek is the most intense, adventurous and worth-while experience I've ever had !! Day 1 Is beautiful. We walked past two glaciers and even ventured up to a glacial lake which was hard, but breathtaking - definitely worth the extra effort. Day 2 Is hard! Be prepared for snow! Our guides from INCA TRAIL RESERVATIONS were friendly and knowledgeable about the trek, natural sites and Inca ruins that we passed along the way. 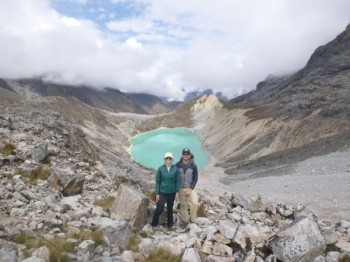 Salkantay trek: it’s not whether you can, but whether you want to! The booking process was easy to follow and the communication was timely and clear. Our guide, Juana, was outstanding! She was knowledgeable, helpful, and she set clear goals for us to prepare us for the long trek.